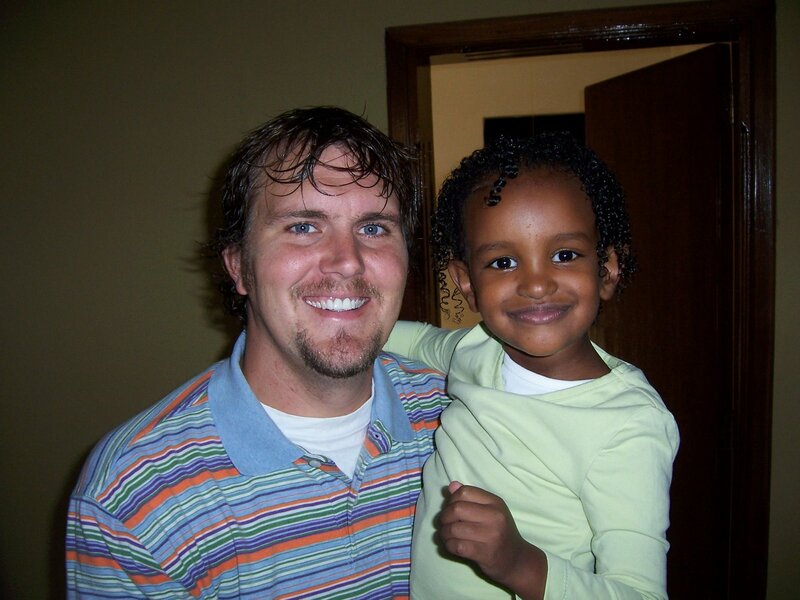 The following is a guest post by Kerry, who along with her husband Scott adopted their daughter Grace from Ethiopia. Kerry and Scott are friends of Nightlight Christian Adoptions and were gracious to allow us to re-distribute this post, which first appeared on their family blog. This post is important for two reasons: it addresses attachment issues that can arise for children who are adopted very young; and it gives the perspective of a mother who’s experiencing these things right now. Our daughter Grace is giving hugs. You have to ask for them, and she doesn’t always oblige, but when in the right mood she’ll wrap her little arms around you and squeeze just slightly. I’m sure this is a big deal to any parent but in the adoption world, it’s a huge sign of progressing attachment and we are celebrating. I don’t claim to know a ton about attachment and bonding, but we have read a fair amount on the subject and tried to prepare ourselves for anything. If you are waiting for your adoption to be completed right now, spend some time reading about attachment. Even babies must learn to attach. They have to learn to see their parents as a special and significant relationship, not just a caregiver. Rocky and his wife, Suzanne, adopted from Ethiopia through Carolina Hope Christian Adoption Agency, which is now the South Carolina office of Nightlight Christian Adoptions. When we decided that we wanted to grow our family, the possibility of adoption almost immediately entered the conversation. I was not the one bringing it up though, my wife was. She had almost always wanted to adopt. I liked the idea of adoption in the abstract, but the thought of doing it while I was still in school was not something that I saw us doing, and I told Suzanne that. She accepted my answer, but was not going to give up completely. She prayed that my heart would change on the issue and continued to bring it up occasionally. At the school that I attend, there are many professors and students who have adopted. Suzanne went to a talk on adoption at the school, and brought me the CD to listen to. I began to consider the possibility of starting the adoption process. This entire time we were hoping that Suzanne would become pregnant. Two families home after Ethiopia adoptions! Nightlight is pleased to announce that our first two families to adopt from Ethiopia are home! Rocky and Suzanne Clark are the proud parents of Bryson (pictured below). 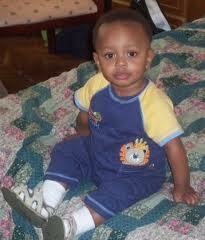 Rocky traveled to Ethiopia for the adoption proceedings, and he and Bryson arrived home on May 24, 2009. (Before the adoption, Bryson was Bekhabil.) Bryson came home as a 14-month-old. The staff at Nightlight join with the Clarks and Spears in thanking God for His provision and for His guidance in seeing the adoption process through to a successful completion, bringing these beautiful children into their forever homes. ATLANTA (AP) – A federal advisory panel is recommending hepatitis A vaccinations for everyone who has close contact with children adopted from countries where hepatitis A is common. That includes Guatemala, China, Russia and Ethiopia – four countries that are currently the major sources of international adoptions. International adoptees trigger fewer than 1,000 of the estimated 32,000 hepatitis A infections that occur in the United States each year. But the potentially deadly illness has been a tragic surprise for many adopting families, officials said. The Advisory Committee on Immunization Practices made the recommendation Wednesday. The panel advises the Centers for Disease Control and Prevention. Here is the adoption video that Desiring God made for our Caedmon’s Call benefit concert for our Ethiopia orphan care and adoption programs. Enjoy! As the result of one of our first adoption interviews, I had the opportunity to meet (via e-mail) a missionary who serves in Ethiopia. It did not take much interaction for me to sense a kindred-spirit. Anthony Mathenia is passionate about the gospel and loves the people of Ethiopia deeply. He and his wife, Amber, have served in Ethiopia as missionaries for two years. My interaction with Anthony through e-mail and this interview has served to deepen my love for the gospel and Ethiopia’s orphans and to add to my enthusiasm for our Ethiopia orphan care and adoption programs. You can learn a little about the exciting kingdom work Anthony is doing in Ethiopia here and here. As you will see from the pictures below, Anthony and Amber are also adoptive parents of a multi-ethnic family. You’ll enjoy reading about their two adoptions. Cold Water News is Anthony’s personal blog. 1. Anthony, tell us a little about your family and what you do. I have been married to Amber for six and a half years, and we have two children. Our first child Ellie, who will be four in December, is adopted from Ethiopia. We adopted Ellie when she was six-months old. Our newest addition is our son Isaac, whom we adopted in October 2007 domestically at the age of three months. We serve as missionaries in Addis Ababa, Ethiopia working there to theologically train local pastors and church planters. We have worked on a short-term basis for over seven years, and moved to Addis just over two years ago. Ken and Sue Hill have 6 children, ages 11, 9, 7, 7, 2, and 11 months old. Their first five children are biological. 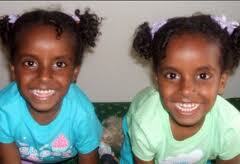 Their youngest was adopted from Ethiopia this past February. Those of you who have already adopted or are currently pursuing adoption know the financial challenges involved in adoption. It might encourage you to know that the Hills received a check from Shaohannah’s Hope at a Steven Curtis Chapman concert this past September. The Hill family is currently in the process of adopting a 3 1/2 yr orphan from Africa named Arama. You can visit their adoption donation website here. 1. What initially motivated you to adopt? In the winter of 2004, I decided to start asking God in my prayers what I could do for Him. I did not know what it would be. But, I wanted to be a vessel for Him in this world. Being a stay-at-home mother of 5, I did not have a lot of extra time. But I kept praying that prayer, hoping God would reveal to me how He wants to use me in this world. In the spring of 2005, I received an issue of a magazine called “Above Rubies.” It is a Christian magazine written by Nancy Campbell. She encourages mothers in their walk with Christ and teaches them how to have Godly homes. In this particular issue, she wrote about her mission trip to Liberia, West Africa. She wrote about the 14 year long war that took place there. This war and its atrocities left behind many orphans. She wrote about these children and the need for adoptive families. After reading this, I knew God was calling us to the ministry of adoption. So, I approached my husband. Our youngest at the time was only 4 months old. I asked him to think and pray about it. At first he thought I was a little crazy. He said “Sue, we already have 5 children.” I again asked him to pray about it and he said he would. We also attended a Kingdom Kids adoption conference. At the conference, Steve and Michelle Gardener, who are adoptive parents, spoke about adoption from a Biblical perspective. This really changed my husband’s perspective on things. After 1 year of much prayer and consideration, we stepped out in faith and decided to adopt. There were a lot of unknowns. We knew, however, that our child was in Africa. We did not know how we could afford it financially, but we went ahead and started the process. As many of you know, Carolina Hope has recently announced our new Ethiopia adoption program. With a population of approximately 80 million people, it is estimated that Ethiopia has between 4 and 5 million orphans. The situation is quickly becoming worse. It is believed that nearly half of Ethiopia’s children will become orphans over the next four years. As a result of Ethiopia’s orphan population, many, many children are available for adoption, both boys and girls, infants and older children, siblings, and children with special needs. Compared to the process of adopting children from China or Guatemala, the process in Ethiopia is much simpler. Today’s interview is with Dustin and Heidi Greenup, a couple who recently adopted a child from Ethiopia. The Greenups, from Spokane Washington, have a wonderful adoption story about how God brought Ezra into their home. Our prayer is that God will use their story to encourage many couples to prayerfully consider adopting a child from Ethiopia. 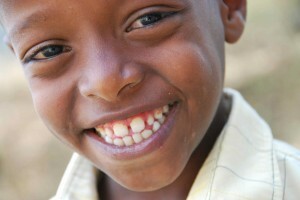 You can learn more about their family and Ethiopia adoption at their blog: http://www.greenupfamily.blogspot.com/. 1. Dustin, would you tell us a little about your family? My wife, Heidi, and I were married in July of 2005. I am a self-employed real estate agent, and Heidi was working as a registered nurse before we adopted. She is now a full-time homemaker. On our 1 year anniversary, after having prayed for some time, we believed the Lord was calling us to adopt a child or children before trying to have biological children. Even before Heidi and I knew each other, He placed upon our hearts the desire to adopt; but it was a real surprise for us to begin pursuing adoption before trying to get pregnant. We are thankful the Lord worked in this manner. If we had realized the work involved in being godly parents, we might have talked ourselves in to waiting until our mid-30’s or so to adopt. I am 26, Heidi is 25, and our new adopted son, Ezra (his new first name) Abera (his Ethiopian name), is approximately 13 months. In addition, Heidi now has a baby growing in her tummy to be born in the middle of March. We live in Spokane, WA, which is a city of a couple hundred thousand in the Pacific Northwest. There are several Gospel-centered churches in the area, each with a number of families adopting from Ethiopia. There are probably 70+ children who have already been adopted from Ethiopia by Christian families in the Greater Spokane area over the past 3 years.